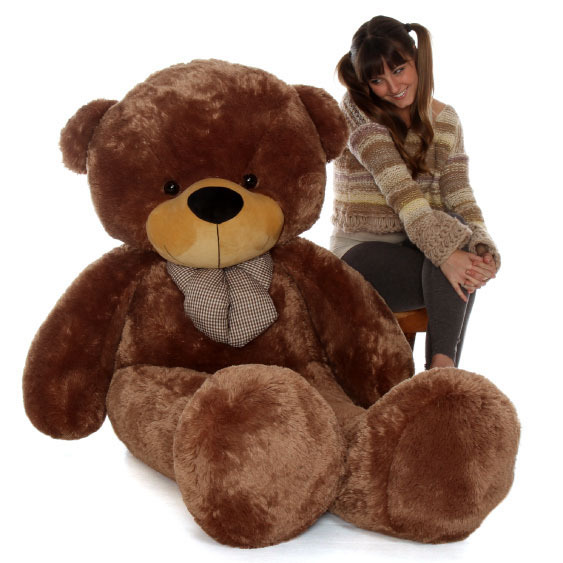 Your love is bigger than life… so your Valentine’s Day Teddy Bear should be just as big! 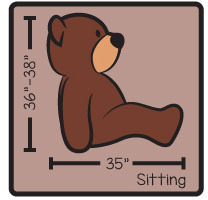 Meet our biggest teddy bear, life size 6ft (72in) Sunny Cuddles. 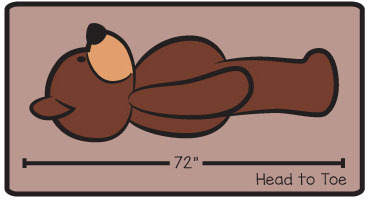 Sunny has beautiful, soft, cuddly mocha brown fur and is huge and huggable all over. 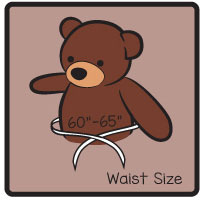 He has a big, chubby black nose and warm brown eyes, and he’s a sharp dressed bear with his holiday bow tie. Sunny even has a special heart pillow for your sweetheart. This bear is giant! It is 6ft and color is as shown in the pictures. It takes a lot of fabric so two slightly different colors were used on the legs. Barely noticeable. The head of the bear is just enormous. My girlfriend loved it! Can take up an entire twin bed on its own. Side to side.